2018.00 sqft. 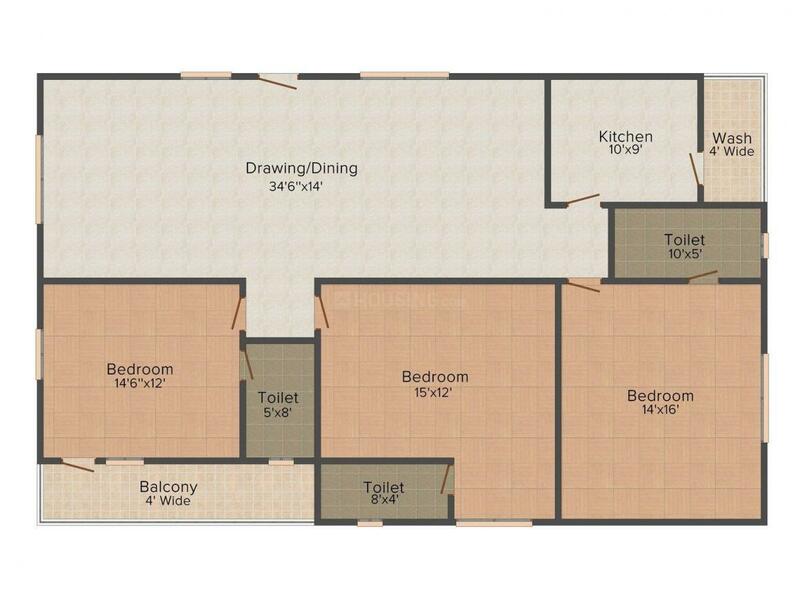 - 2046.00 sqft. Sri Vennala Heights is a unique residential complex. Spread majestically, these spacious apartments provide the very best of modern amenities and a world class lifestyle. The project will undoubtedly be the most serene address in town – offering comfort, convenience and a secure life. Sri Vennala Heights welcome you to experience its world-class homes that makes life exciting, luxurious and opulent. The apartments are airy, comfortable and offer a soothing view of the idyllic green lands. 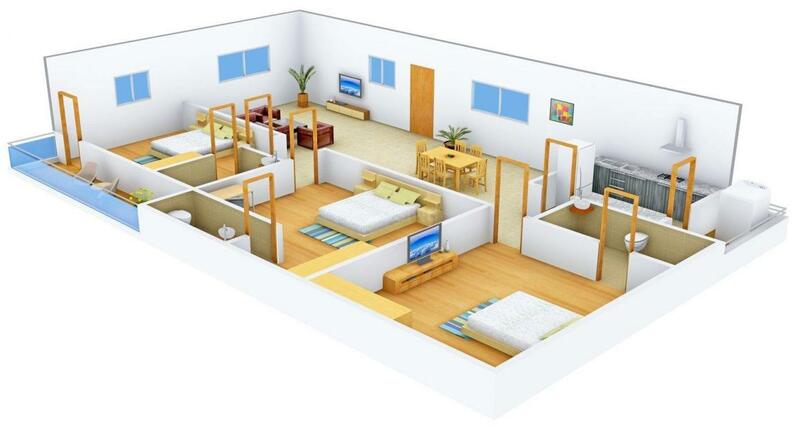 Each apartment has been carefully crafted for maximum utility in every corner. They are structurally designed to provide open space and ample natural light. This meticulously planned project is sure to capture the imagination of the people and so Sri Vennala Heights has been designed to perfection. 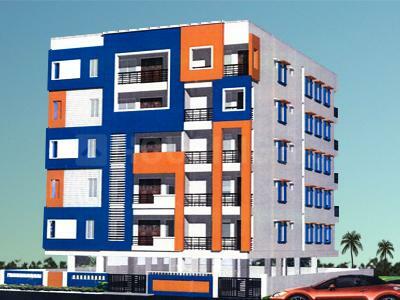 Bharathi Nagar is one of the most sought after localities in Vijayawada, Andhra Pradesh. Road connectivity in this area is accessed by the Ring Road which joins Gudivada – Vijayawada Road, National Highway NH 9 and National Highway NH 5 that makes commuting across cities very easily and hassle free. Main traveling in this area is via roadways. Besides traveling via railways is possible through Madhura Nagar Railway Station and Ramavarapaddu Railway Station that are at short driving distances away. The Vijayawada Airport also exists near by. Some of the well known institutes in and around this area are Westin College of Hotel Management, Nalanda Toddlers, Shri Chaitanya Junior College, Narayana Medical IIT Academy and many more. Medical centers like Dr. Ramesh Hospital are close by ensuring immediate medical attention as and when needed. Also in the vicinity are Vinayaka Theater and INOX Theater that provides for leisure time to the inhabitants. 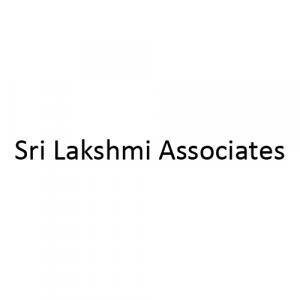 Sri Lakshmi Associates is a name to reckon with in the field of Real Estate and over the years it has proved its mettle by delivering state of the art projects. The management takes pride in its diversity as it includes members from fields like construction, consulting, design etc. The company believes in delivering the best and strives to leave no stone unturned in doing so. Transparency, Humility, Honesty and Integrity is what holds utmost importance to the company and it has shown these in all of their projects which are mostly concentrated in the Vijaywada region. The company has successfully completed many projects in the past and with many others in pipeline, it is only going to grow bigger by the day.